Help PhyloPic cover the costs of web hosting. All funds raised will go to Mike Keesey, the organizer for PhyloPic's web hosting expenses. PhyloPic was created by me, Mike Keesey, to provide the world with free silhouette images of animals, plants, and other life forms, all available under Creative Commons licenses. Launched in 2011, it has steadily amassed contributions from dozens of artists. Currently it has over 3400 silhouettes. In addition to illustrations, PhyloPic stores an evolutionary family tree of organisms. When searching for a silhouette, if the exact species isn't found, silhouettes of close relatives will still appear. This makes PhyloPic an educational resource, since the tree can be explored and used to generate diagrams of evolutionary lineages. PhyloPic has proven useful to everyone from casual websurfers to educators to scientists. Silhouettes from PhyloPic have shown up in classrooms, scientific papers, and conferences. And, since PhyloPic provides a free programmatic interface, it has been used to augment other projects. All work on PhyloPic is through volunteers: artists choose to donate their work to the community, and I do the web development and administration. I have also paid for the majority of the web hosting over the years. 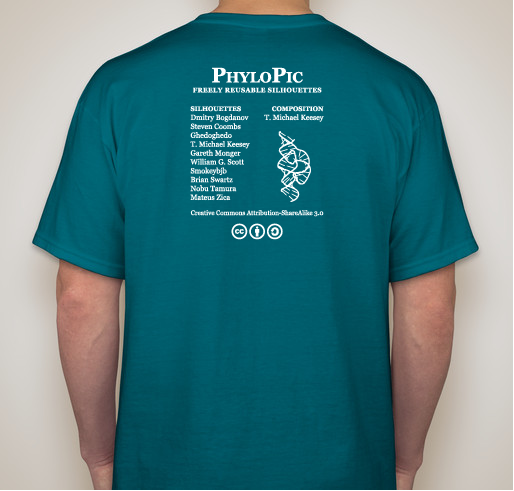 To help with these costs, I am offering a T-shirt showing the evolution of humans from the earliest bilaterian animals ("worms"). This design, using silhouettes from PhyloPic, depicts the origins of vertebrates, tetrapods, mammals, primates, and finally us: Homo sapiens sapiens. P.S. 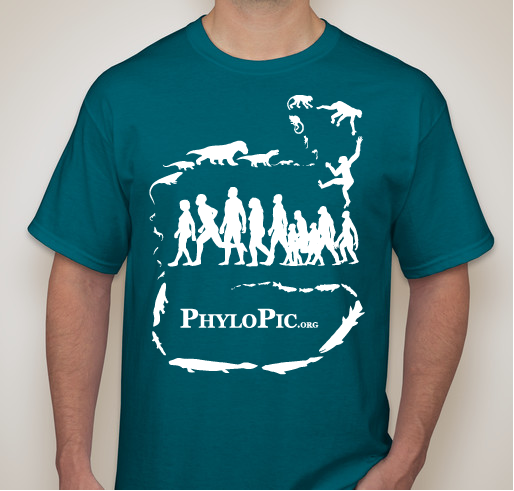 Follow @phylopic on Twitter for updates! As a scientist myself, I'll likely use some of these silhouettes in my publications. Plus the t-shirt is so cool! I love using PhyloPic in presentations, papers, and pretty much everything else I make for my research -- thank you for all your hard work. 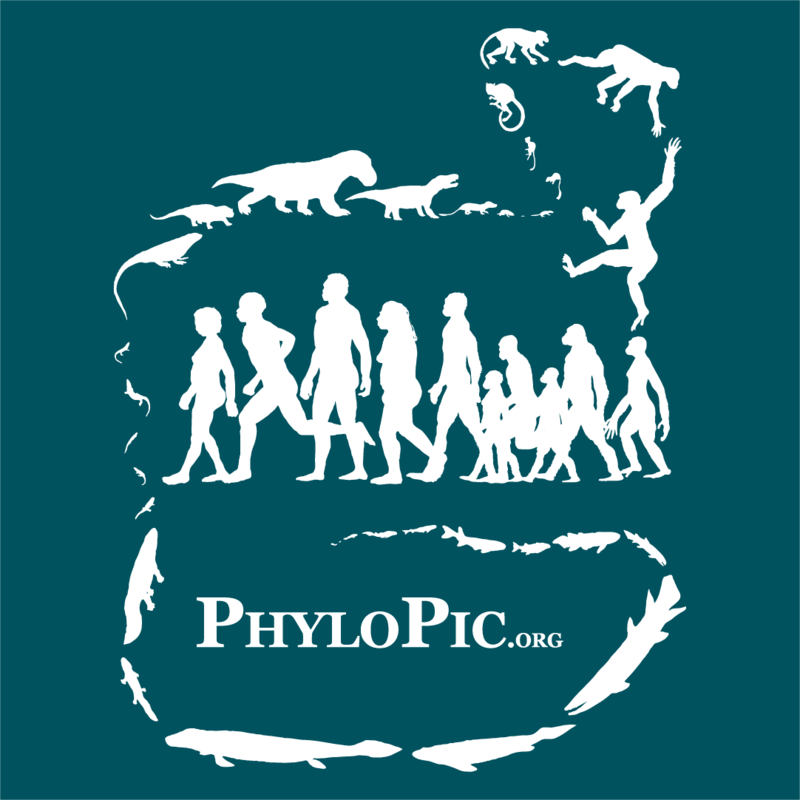 Share Why You Support "PhyloPic - free silhouettes of life forms"